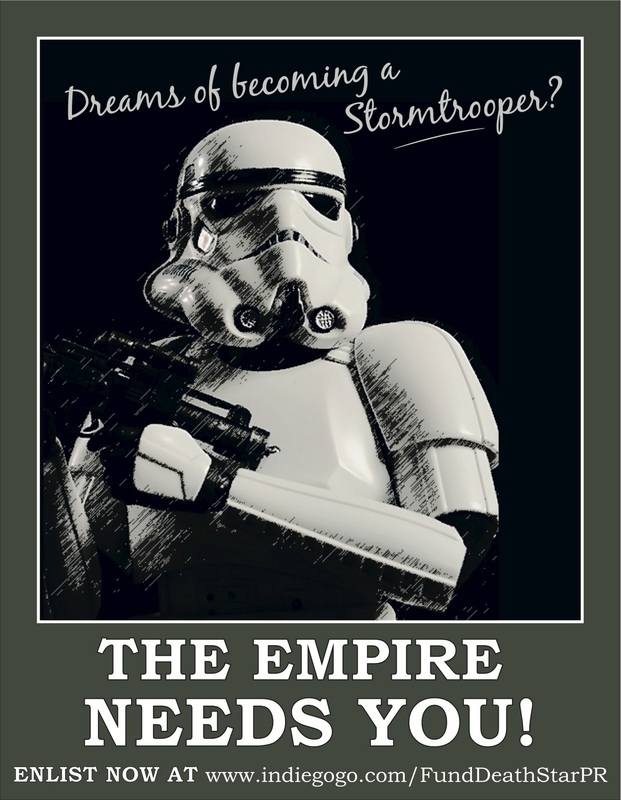 Death Star PR: The Death Star PR Webseries Needs YOU! Loyal Sithizens, the Death Star PR team needs your help. We have just FIVE days left in our "Death Star PR" webseries fundraising campaign. It's highly unlikely that we'll reach our target, but every donation, whether it be $2 or $200, will make a huge difference to the quality of the product you'll see on the web in November. There are perks for each level of contribution, including personalised thank you letters, signed copies of the script, production stills and copies of the entire season on DVD, to name but a few. So please, if you're a fan of the DSPR team, or Star Wars, or even just a fan of not having your planet destroyed by a vengeful laser death moon, contribute today. And make sure and tell all of your friends to do the same. Get on the good side of the Dark Side by contributing here.